Protech Spindrift SD1 Allen Elishewitz design fixed blade knife Black G-10 Stonewash Blade, Overall open length 10.625 inches with a 5.25 inch 59RC drop point hollow grind stonewash blade. The handle length is 5.125 inches made of G-10 and is .73 inches thick. 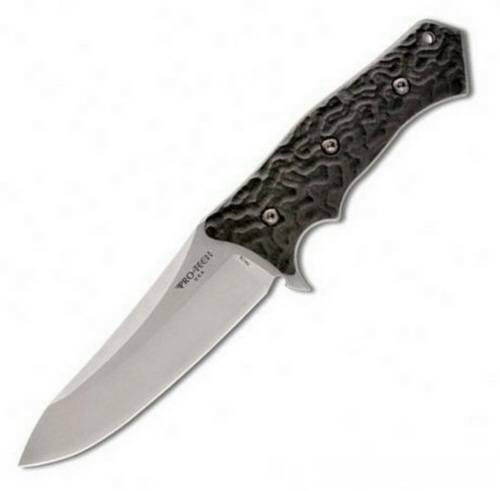 The Protech Spindrift weighs in at 12.05 ounces and comes with a Kydex sheath. Made in the USA.